Carol Danvers has never had the cleanest origin tale in the comics—even the most recent retcon is still a bit convoluted. 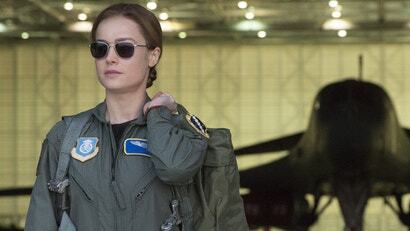 It’s no surprise then, that Captain Marvel’s attempt to give her a new one is likewise a little muddy in parts. But the way it honours one aspect of comics history is one of the best choices the film makes. The opening act of Captain Marvel is as fractured as our titular hero’s memory of her own past. As we dart forward and backward in time through the present events out among the stars and inside Carol’s own mind, we’re treated to glimpses of a life she cannot remember living. 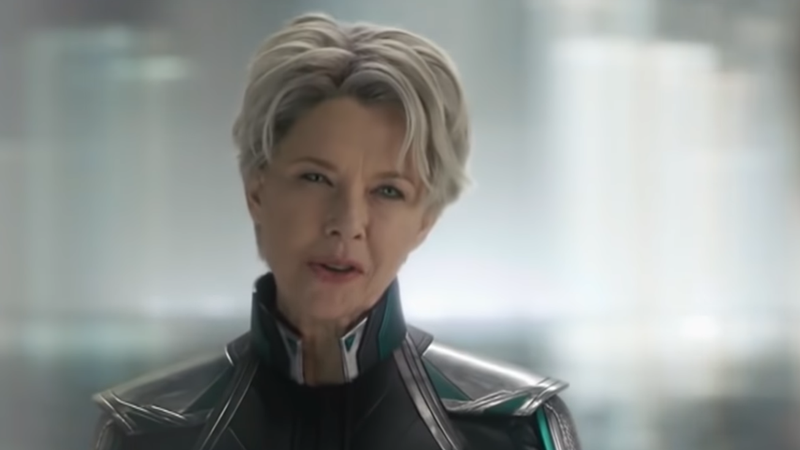 One full of Street Fighter II matches, karaoke nights, and a mysterious female scientist, played by Annette Bening—a face meant to matter to Carol the most, as it’s the one worn when she psychically connects to the Kree’s Supreme Intelligence back on Hala. Bening’s character is revealed twice more as the film progresses—first as Doctor Wendy Lawson, lead scientist on a lightspeed engine being tested by Carol and Maria Rambeau, but then again as her real identity. She’s not a Human scientist, but a Kree one. And her name is Mar-Vell. In the comics, that, of course, is the real name of the original Captain Marvel, the male soldier sent to spy on Earth before he ultimately decides to defend it from his own people. 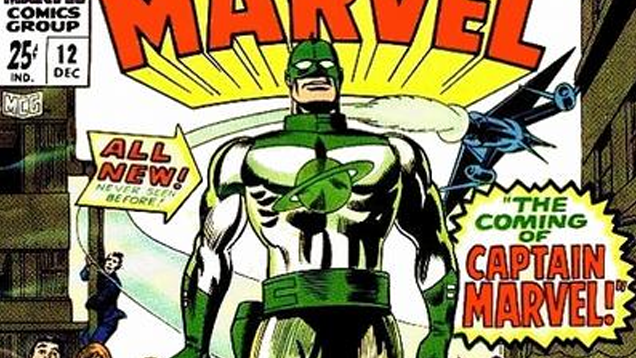 The movie actually honours him in another moment too — when, while asking lil’ Monica Rambeau (who was actually Mar-Vell’s direct replacement as Captain Marvel in the comics after his death) to select non-Starforce colours for her suit, Carol briefly dons the green and white of Mar-Vell’s very first costume. But it’s in the twist with Bening’s character that Captain Marvel makes the better tribute, both honouring a legacy integral to Carol’s lengthy history in the comics across years and multiple hero mantles, while updating it in a smart, clean manner. And it’s not in changing up Mar-Vell from a man to a woman that’s the big deal — although that at least removes the idea of Carol inheriting her powers from the man she was a love interest to — but it’s really in making Mar-Vell a scientist rather than a soldier following orders. In the movie, Mar-Vell is on Earth not on behalf of her own people, but the survivors of the Skrull race; she’s there investigating ways to help them find a new home away from the threat of the Kree themselves. It’s a mission of mercy, a mission to end war rather than perpetuate it. In the comics, Mar-Vell is initially on Earth as an antagonistic force, a playground in his homeworld’s wider conflicts. Carol, acting as Doctor Lawson’s protector when the Kree come calling to stop one of their own, inherits that mission of mercy when Mar-Vell dies. But it’s not the mission that makes her a hero, and in the film, it’s not Mar-Vell who gives Carol her power — it’s a fate she claims herself out of a heroic action, by choosing to shoot Mar-Vell’s engine before Yon-Rogg steals it. Not really an accident as it originally was with the Psyche Magnetron in the comics (Carol presumably thought she’d die and take Yon-Rogg with her, not get turned into a flying cosmic nuke who occasionally has a fauxhawk), or the awakening of a lineage she never previously knew about, as it is in the current retcon. It puts Carol as the core focus in her own story—and it’s one that really works thanks to how Captain Marvel re-imagines Mar-Vell and her part in that legacy. That it also gives us the joy of Annette Bening dancing around in a bomber jacket is just an added bonus.